“The Hair of the Dog® that bit you” . . . you've heard it! That simple phrase describing the solution for your morning woes after you've had one too many drinks. Traditionally this phrase was meant to describe the process of drinking the same alcohol you had the night before to help alleviate the side effects of alcohol. By making Hair of the Dog® the "Last Drink of the Nite™" you can avoid the morning after effects from alcohol. If you forget to take it before going to bed, in the morning Hair of the Dog® will "Take the Bite out of Last Nite”™. It works in 45 minutes to an hour to get you back on your feet and off to a great day! 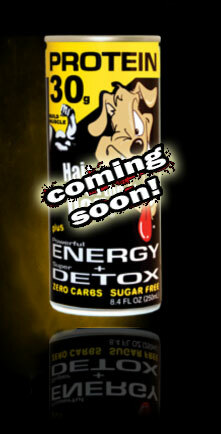 Hair of the Dog® brings new meaning to the phrase with an all-natural alternative to feeling better in the morning. So, Hangovers Beware of Dog! 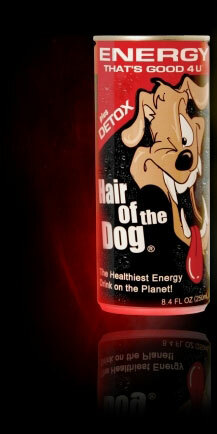 Note: Hair Of the Dogâ„¢ is not intended to decrease Blood Alcohol Levels. All matters concerning to your physical health should be supervised by a health care professional.